You can even use InfluxDB outside IT related usage for example you want to store time series market price of a commodity. You can also use InfluxDB to store metrics for your Internet Of Things (IoT) projects. Simple to install with no dependencies. Support for hundreds of thousands of writes per seconds. Data tagging for flexible querying. Native HTTP API, no need to manage server side code. Time-centric functions and easy to use SQL-like query language. Specific purpose for time series data. no special schema design or custom app logic required to use InfluxDB. By default, InfluxDB uses the following ports: * TCP port 8083 is used by InfluxDB Admin Panel * TCP port 8086 is used for client server communication over HTTP API. If you use firewall make sure that you allow both port above as needed. 2. Add “InfluxDB” key to verify the packages that will be installed by the below command. 3. Add “InfluxDB” to the repository file by the below command. 5. 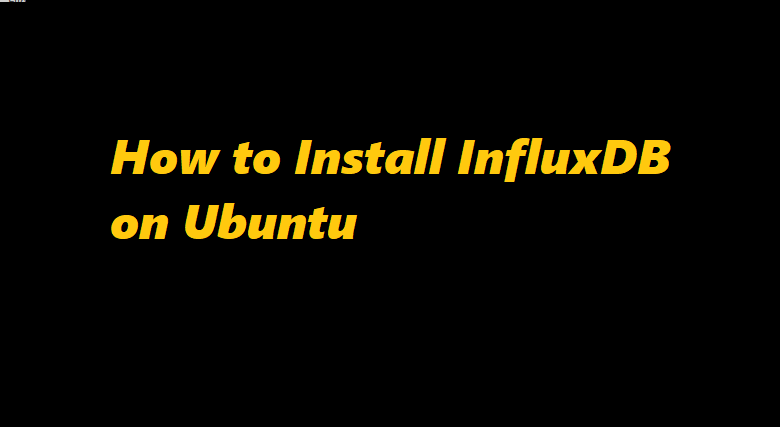 Now you are ready to run the below command to install InfluxDB. 6. Now you had successfully installed InfluxDB, you can open it from the web page by entering your IP address following by “:8083”. 7. To create a super admin with all privileges by the command below on the query box. 8. Run the query “Show users” to make sure that your admin user is created successfully. By default, authentication isn’t enabled on InfluxDB to enable follow the given below steps. 1.Open the configuration file with the nano editor by the below command. 2. Search for “Auth-Enabled” and change it from “false” to “true” like the screenshot below. 3. Restart InfluxDB so changes take effect by the below command.